There is no better oil finish! 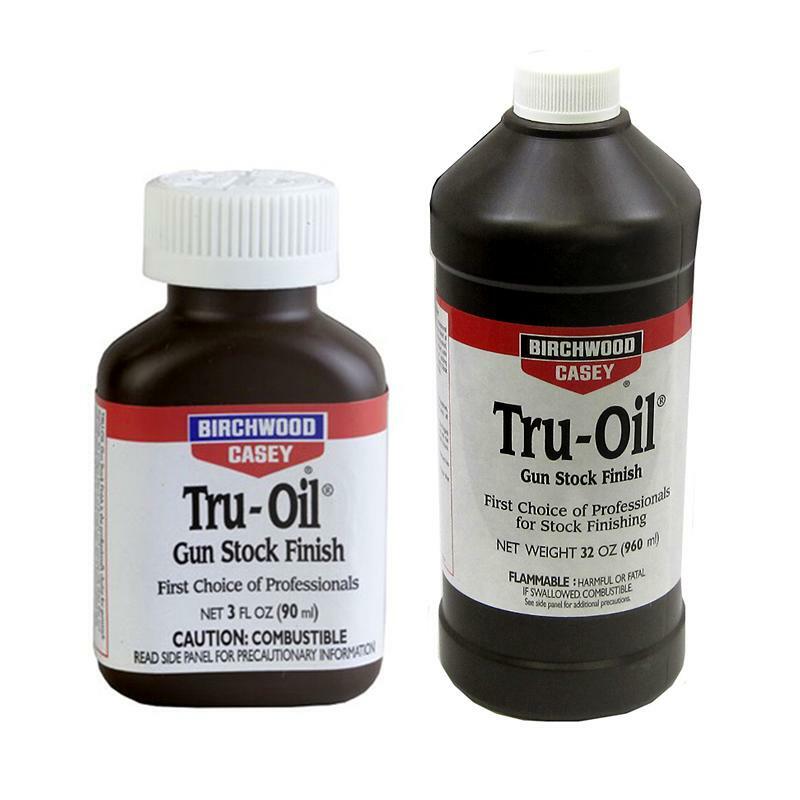 TRU-OIL Gun Stock Finish is the professional's choice for gunstock (or furniture) finishing for more than 30 years. Its unique blend of linseed and natural oils dries fast, resists water damage and will not cloud, yellow or crack with age. TRU-OIL Gun Stock Finish penetrates deeply and forms a tough, clear, hard finish that protects and enhances the beauty of fine woods.